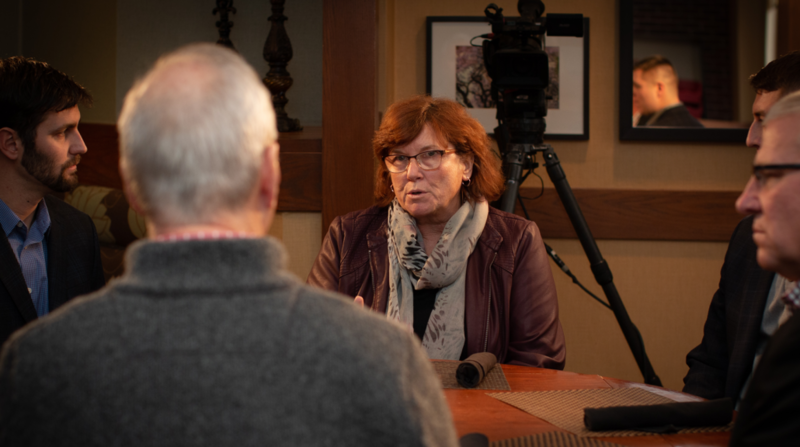 On November 30, 2018, NBC Nightly News featured the current Wisconsin Soybean Marketing Board (WSMB) President, Pat Mullooly, and members of the Wisconsin Soybean Association (WSA) Board of Directors to highlight the increasing influence of the US-China trade war on American farmers. During the feature, NBC correspondent, Kevin Tibbles, emphasized the impact Chinese tariffs have had on soybean prices in the US. According to Mullooly, the tariffs have caused significant challenges for Wisconsin soybean growers. Over the past six months, US soybean prices have dropped more than a dollar per bushel, from $9.81 in March 2018 when the tariffs were announced to $8.77 in September 2018. With US soybeans and soy products now tariffed at 25%, markets have responded in kind and are down by 15-20%. This drop in prices further increases concern among Midwest soybean growers, particularly at a time when farm bankruptcy is on the rise. Board members were asked to share their thoughts on how the future of US-China relations may continue to impact the soybean industry. Some expressed their hopes that President Trump’s December 1, 2018 meeting with Chinese President, Xi Jinping, would resolve the increasing toll these tariffs are taking on American farmers. However, even if the tariffs are lifted, renewing relationships with Chinese markets may still be an uphill battle. View the full feature on the NBC Nightly News website to hear more from Wisconsin soybean growers about the trade war’s impact. The report begins roughly halfway through the November 30, 2018 episode.